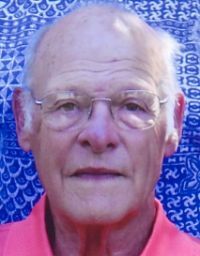 DALE LEROY LOCKER, 81, of 206 East North Street, Anna, passed away at 10:55 PM Sunday, August 14, 2011 at his residence. He was born on November 2, 1929 in Sidney, Ohio, the son of the late Claude and Ida (Allen) Locker. On July 5, 1950 he was married to his loving wife of 61 years, LaDonna Limbert, who survives along with their five children; LaDonna Kae Merold and husband Steve of Outville, OH, Randy Locker and wife Janice of Anna, Alan Locker and wife Jennifer of LaFollette, TN, Eric Locker and wife Brenda of Sidney, and Aaron Locker and wife Kathy of Middletown, DE, daughter-in-law, Barb, wife of the late Dale "Buzz" Locker of Sidney, fifteen grandchildren, twelve great-grandchildren, and sister-in-law, Dorothy Locker of Sidney. Dale was preceded in death by one son, two sisters and five brothers. Throughout his lifetime Mr. Locker was employed in various positions for several organizations. He was a music teacher; one of his many passions. He worked as a guidance counselor, as well as an Occupational Work Experience teacher. For 12 years he served as state representative; the last to represent Shelby County only. Mr. Locker was the Director of Agriculture for the State of Ohio for 3 years, worked in human resources for Stolle Corporation for 10 years and was a personal manager for Airstream for one year. Dale served on the Area Agency on Aging, was the Anna Village council president, and served as former Mayor of Anna. He was a member of the Ohio Association of Community Colleges, was the Ohio Representative of the National Board of Community Colleges, a member of the National Organization of Agriculture Directors, a life member of the National Education Association, the Ohio Education Association, and the National Music Association. Dale was a people person and loved spending time with his family and friends. Like his love for music, he also enjoyed writing poetry, reading and wood whittling. Dale was a 46 year member of the Anna United Methodist Church, 201 W. North St., Anna, where a Funeral Service will be held Friday at 10:30 AM, with Rev. Mitch Arnold and Rev. John Schlicher officiating. Burial will be at Glen Cemetery in Port Jefferson, Ohio. The family will receive friends on Thursday, from 4 to 8 PM at the Anna United Methodist Church. Memorial contributions may be made to the Anna United Methodist Church or Wilson Hospice in memory of Dale LeRoy Locker. Envelopes will be available at the church.